Presidential scandals, rap feuds, Baywatch -- the '90s had it all. It was the decade during which we first visited 90210 and had coffee with our Friends. We got on the Web and started to Google and lol. We learned that a show about nothing can definitely be something, and that men and women hail from different planets! (Who knew?) And for at least a second or two, we may have wondered whether the Blair Witch was real. The perfect companion to E! 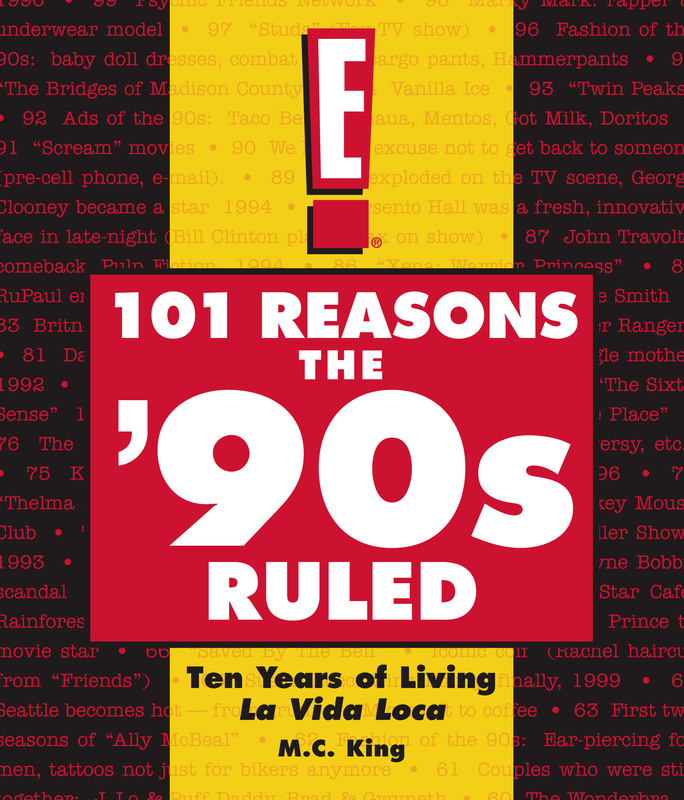 's 101 Reasons the '90s Ruled miniseries, this book relives memorable moments from a momentous decade. Every page will make you say, "Dude, I totally remember that." Unless, of course, you are very, very young (or don't call people dude). Packed with cool photos and irreverent commentary, 101 Reasons the '90s Ruled is Absolutely Fabulous.